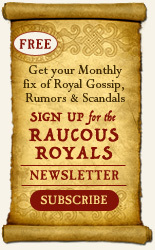 I am just getting caught up on my episodes of The Tudors. Last night, I watched the episode in which Anne had another miscarriage. If you have seen this Sunday’s episode….don’t tell me what happens to the broken queen, because I have not seen it yet. Ha ha. No, we all know what is going to happen. Her fate is either sad or well-deserved depending on whether you are an Anne hater or fan. But after watching last week’s episode, I couldn’t help wonder – why so many miscarriages? Some historians put the number as high as six. I have heard a few theories. 1. Henry’s oozing puss from his supposedly syphilitic leg wound. 2. His deformed nose common in the final years of the disease. 3. His grumpiness and paranoia being a symptom of the syphilitic attack on the brain. 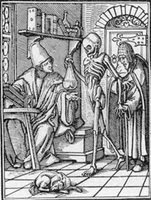 It is important to remember that syphilis was a much stronger disease in the 16th century than it is today. Syphilis is caused by the Treponema pallidum spirochete bacterium and was believed (although hotly debated) to have been imported into Europe when Columbus’s crew returned to Spain. New diseases tend to be more potent because people lack immunity to them. To Treponema pallidum, Europe was the New World. It left people disfigured, demented and eventually dead. Surely, syphilis would cramp your love life today, but in the 16th century it was hell on earth. Historian Susan Maclean Kybett presents a very convincing argument against the syphilis rumors. 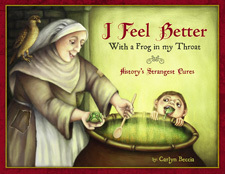 First off, there isn’t any record of Henry or Anne ever taking the standard cure for syphilis of mercury. Although today we would freak out if a drop of this poisonous substance got on our skin, people in the 16th century would bathe in it. 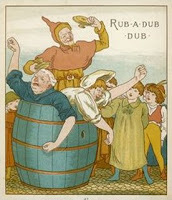 In fact, the Mother Goose rhyme that we innocently chanted as children, “rub a dub dub, three men in a tub”, describes the mercury baths commonly administered to sick syphilitic patients. Mary and Elizabeth never had signs of syphilis either which also indicates that their father may not have contracted it. And as I mentioned a few weeks ago about Henry’s love life, the king really wasn’t getting much action in the boudoir. I see Henry as a man who was very selective on whom he slept with and preferred serial monogamy to bedding any ole wench that crossed his path. Serial monogamy would not have protected him from the disease, but it also gives him less chance of contracting it. So what caused Henry to be such a puss-oozing grump? Kybett points to an insidious culprit often forgotten in today’s vitamin popping culture –Scurvy. We know today that scurvy is caused by a deficiency in Vitamin C. The symptoms of scurvy include bleeding gums, tooth loss, ulcers and serious crankiness. It affected the land bound royalty in winter months as much as it did sailors. We tend to forget just how vitamin deficient Henry’s court was. 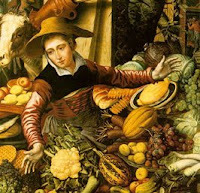 Vegetables were viewed as peasant food. Eating a vitamin-C rich turnip was the equivalent of sustaining yourself today on a diet of lo mein noodles and spam. If it grew in the dirt, they weren’t eating it. A pig that rolled in mud and his own feces…now that is food fit for a king. Fruit were not deemed as detestable as vegetables, but they were way too costly to eat during the winter months. The Leathersellers' Company paid six silver pennies for one stinkin’ lemon at Henry and Anne’s coronation feast. These were tough times to be pregnant and craving apples. When I was pregnant I sucked down so much lemonade that I was convinced my baby would come out yellow. I drenched lemons over peanut butter sandwiches. My husband walked around saying, “baby wants lemons” for nine months. (A line from The Breakup). Not that my sole experience is any scientific proof for the importance of vitamin C during pregnancy, but I certainly wasn’t craving a rack of lamb. Many of my friends have claimed that they ate up fruits and salads like ferociously starved rabbits too. Kybett also points out that Henry’s illnesses coincided with the spring Lenten period of fasting when fruits and vegetables would have been scarce. With meat and more meat being the staple of Anne’s diet, miscarriages may have been caused by nutritional deficiencies in both the father’s and mother’s diet. Some historians have suggested that Anne was RH negative and Henry was RH positive. The rare blood combination causes the mother’s antibodies to literally attack the fetus, but the autoimmune response does not happen until the second pregnancy. Although this is an interesting theory, it can not be proven. So what do you think? 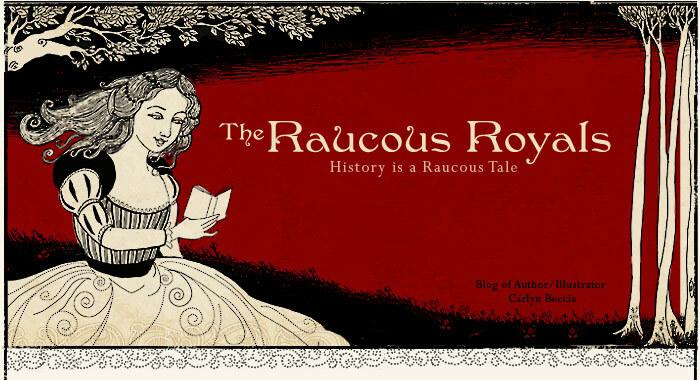 Why did Anne have so much trouble delivering a male heir? Maclean Kybett, Susan. "Henry VIII - A Malnourished King?" History Today, September 1989, pp. 19-25. 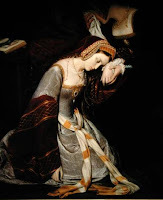 Warnicke, Retha M. The Rise and Fall of Anne Boleyn. New York, NY: Cambridge University Press; Reprint edition (July 26, 1991). Hayden, Deborah. Pox: Genius, Madness, And The Mysteries Of Syphilis .Jackson, TN : Basic Books, 2003. Those are some very interesting theories. I don't believe that Henry had an STD. It wasn't uncommon for women of that era to have miscarriages. Also Anne was much older than the average woman when she had her first child. Nowadays its not uncommon for a woman of 27 or 28 to have her first child but back then, Anne should have been on her third or fourth child. Combine that with the poor nutrition that you pointed out and its no wonder she and Catherine had a number of miscarriages and still born babies. Very interesting. I have always read that Henry did have syphillis which explained his nasty leg sores and what not...or rather that was the explanation given for a lot of his problems. I had a craving for citrus when I was pregnant. I just could not get enough. Lemons, oranges, grapefruit, anything, but I wanted it all of the time, way more than would have been normal for the not-pregnant me. Even though the king managed to sire two sons (Edward and Henry Fitzroy), I get the impression that neither one was that robust. I am surprised that since Henry sort of made it all up as he went along (well, to a large extent), why didn't he just make Henry Fitzroy legitimate since having a son was such a huge deal! 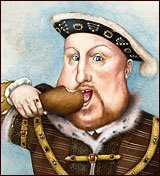 I had always attributed Henry's baby troubles with the fact that royals were so inbred.